Back in 2014, seems so long ago now, Google made many important changes to their myriad of algorithms, some of which place more importance on social media when it comes to ranking on their mighty search engine. In June they completely removed the popular Authorship platform, others thwart underhanded SEO practices, and still more address security concerns. According to Moz, although Google makes adjustments hundreds of times over the course of a year, many of them minor, but last year there were over a dozen important updates, everything from Pandas to Pigeons and Pirates, oh my! More emphasis is being placed on user experiences aboard many social media platforms. Moving forward in 2015, User Experience, also known as UX, is more important than ever when it comes to the SEO friendliness of our websites. It’s more than interfaces and fancy designs, the overall experience in the journey that users take on our pages that is vital to success in today’s fast-moving digital age. There are mountains of statistics out there that point the the vital importance of being mobile-friendly and marketing on these devices in today’s digital age. For the majority of users now connecting to the internet from their handheld devices, their experience must be accessible, visible and operable on their smartphones, tablets and other mobile gadgets, it’s just that simple. In order to be an effective part of our user’s ultimate experience, our content must possess all of these important attributes. User experience is meant to be designed specifically for the user, not the designer or even the author of content. For example, material need not contain narcissistic statements such as, “the greatest thing I have ever seen,” or “in my opinion,” where “I” and “me” are the culprits. Usability is measured not only by search engines, but also by the reachability and accessibility of the audience according to their interests, relevance and desirability. When users are seeking information, they are often browsing, searching through the use queries or accessing their social network, both online and off. SEO and UX designers understand the importance of properly labelling, formatting, organizing and connecting website content so that both human and machine users will easily access and understand the information found on these web pages. These techniques will ensure that both users and search engines will connect better with our information in a vast web of small applications and big data. Many of us have heard that if a web page doesn’t load in the blink of an eye, for today’s impatient internet users, that’s too long. But perceived time is just as relevant for humans as real time. 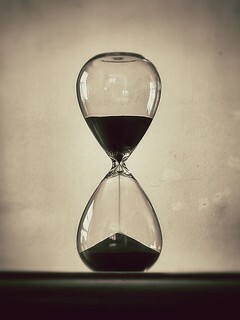 Think of it this way, if a user is on a website and they have difficulty navigating, can’t locate items or information they are seeking, they will believe that it is operating slower when in fact it is not, but they have the perception that it isn’t responding quickly enough because they are waiting or become frustrated. A better user overall user experience will not only please the web user, but in the long run, it will assist search engines in giving our sites better rankings and bring us an even bigger audience. Nick Rojas is a business consultant and writer who lives in Los Angeles and Chicago. He has consulted small and medium-sized enterprises for over twenty years. He has contributed articles to Visual.ly, Entrepreneur, and TechCrunch. You can follow him on Twitter @NickARojas, or you can reach him at NickAndrewRojas@gmail.com.